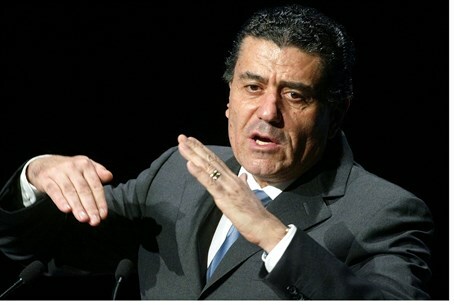 The conference's billionaire organizers - Sheldon Adelson and Haim Saban - told Israel's Channel 2 they were determined to turn the tide on those seeking to challenge Israel's legitimacy. "The BDS (movement), and anti-Israel and anti-Semitic organizations similar to it, are making a lot of noise in (university) campuses in the United States, in addition to creating headlines on important topics such as industry and so on," Adelson said. "My vision for this conference is based on the idea that it is on us to act first, in coordination, against the attempts to delegitimize Israel." "This challenge which has brought different Jewish groups to come together," he added. Saban - who part-owns Partner Communications, which has hit headlines over the controversy regarding its licensing agreement with Orange - was asked if he believes the "regret" voiced by Orange France's CEO over talk the company would be "boycotting" Israel. Orange CEO Stephane Richard claimed Saturday that he "sincerely regrets" the furor he sparked Wednesday when he said that Orange would end its brand-licensing agreement with Partner, Israel's second largest mobile operator, and stated as well that he would "dump" Israel "tomorrow" if he could. Richard insisted the decision to end the licensing agreement had nothing to do with politics - but given his statement in Cairo few are buying it. Saban agreed with that sentiment, dismissing the comments as "blatant lies." "This is why we should consider all options available to us. One thing is for sure: this is not over," vowed Saban, who has threatened to sue Orange as a result. He pledged make an example of Orange and force other would-be boycotters to "think twice." "Trust me, this is only the beginning," he added.